As you guys know, we recently returned from a week long jaunt in Iceland, and had the time of our lives. We had heard that Iceland was an expensive country to visit, but were woefully under-prepared for just how expensive things could be. So we have complied a list of tips and tricks to make the most of your trip, without breaking the bank. With the emergence of bargain airlines, flying doesn't have to be as costly as it once was. Airlines including Spirit, Allegiant, and WOW can take you to many tourist destinations for a fraction of the price. The tricky part comes in scheduling which airport to fly from (they don't have hubs at all international airports), and understanding baggage and carry on rules. WOW is the bargain airline which operates to and from the US to Iceland (and parts of Europe). Check their website to see out of which cities they operate. We took these cities listed, and looked to see which we could fly to on the cheap. 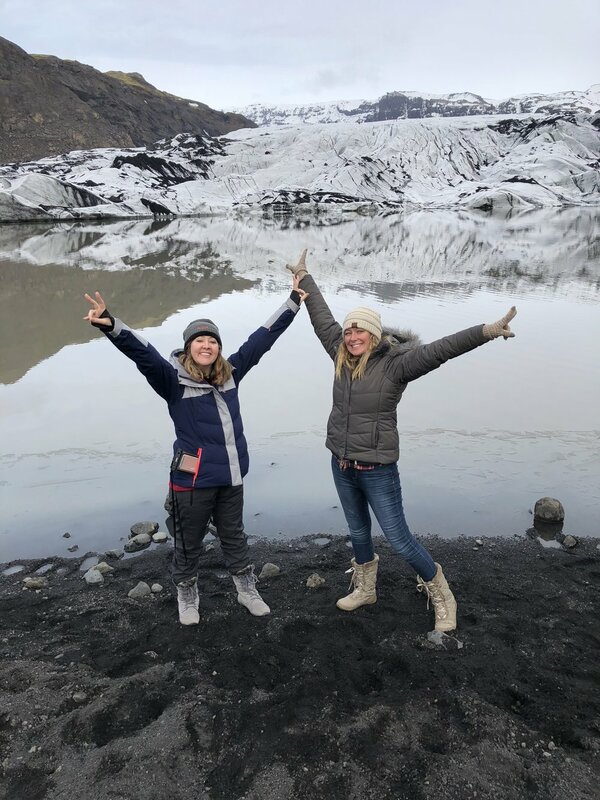 A couple hours of research later and we were able to book flights from Charlotte, NC to Boston, MA to Reykjavik, Iceland all for the low low cost of $550 USD per person. (We also had some credit card points to redeem so our cost was under $500 per person- score!) Red eye flights are also considerably less expensive. We never flinch at a red eye, especially when it's international. Arrive in time to see the sunrise and you're ready to explore! Being a bargain airline, WOW makes up there revenue with charging for all bags, carry on, movies, and in flight drinks and snacks. No complimentary conveniences here! To save on the insanely overpriced snacks (there is no way I am spending $6 on a mini can of Pringles), I packed some snacks for the ride (Lance cracker, packages of nuts, some cookies), although I did cave and buy a Coke ($3) due to airline restrictions of boarding a plane with liquids. CHECK OUT WHAT I PACKED FOR OUR TRIP HERE! 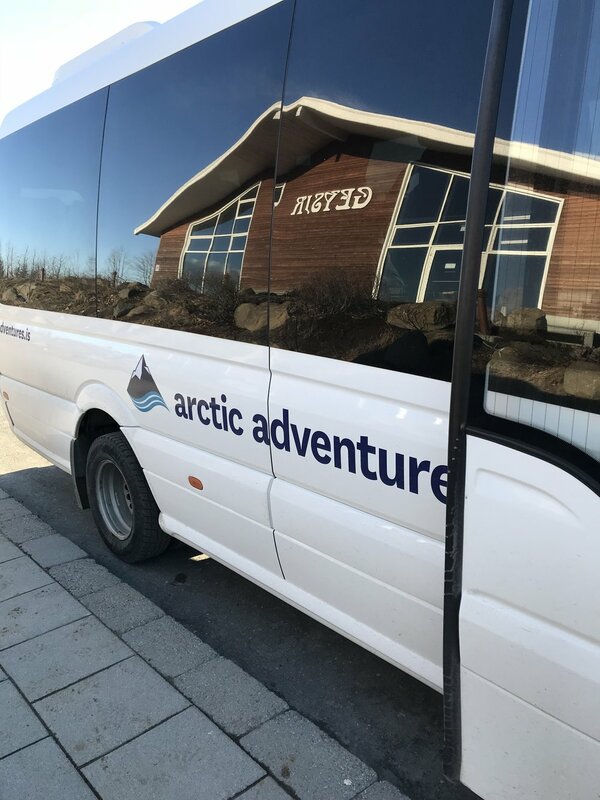 While there are plenty of nice hotels in Iceland, if you are planning on staying for more than 2-3 nights, we highly recommend looking into renting through Air B&B. Not only is it less expensive per night, but they usually offer discounts for extended stays of more than 5 days. We also took advantage of our kitchen/fridge to stock up on cereal/milk/snacks (which saved money on our food budget). One with a washer was an extra perk that allowed us to pack lighter and be able to wash clothes mid trip. We opted to stay in the Marina district. We were a mere 2 blocks away from the pick up spots for our tours and an easy 4 blocks from center city. It was the perfect location! Food and drink prices are astronomical in Iceland, but there are ways to save money where you can. 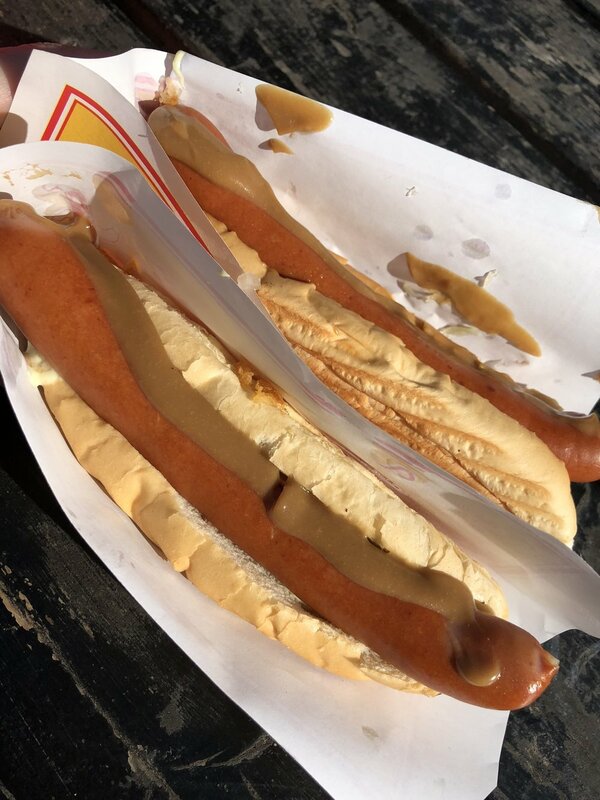 If you don't mind hotdogs/warm sandwiches/noodles, there are some really great stands throughout Reykjavik where you can pick up an inexpensive lunch (under $10). 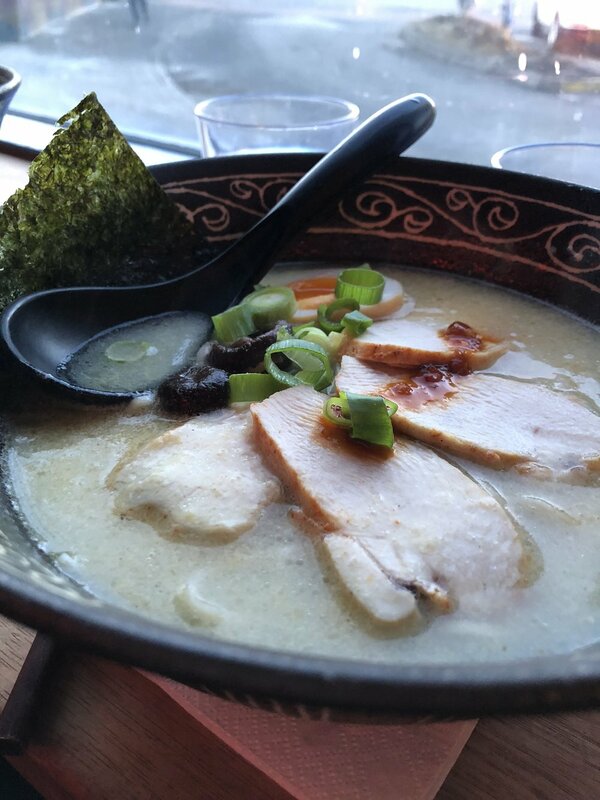 One of my favorite parts about traveling is sampling the local cuisine, so I personally don't like hitting up the same spots to eat every day, I much prefer to try a new place everyday. BUT with as busy as we were, sometimes a quick lunch on the way to our next activity worked in a time crunch (and made our wallets happy). Download the app "AppyHour" (Itunes and android) to locate where all the best drink deals are happening every afternoon. (Because no one wants to pay $14 for a pint or $22 for a cocktail!). With this app you can quickly locate drink deals across Reykjavik. (Typically BOGO or 50% deals). Baejarins Betzu Pylsur: Hot dog stand. Good hot dogs, simple, but very reasonably priced. Iceland does not have a large scale public transport system like can be found in most large scale cities in the US, and across Europe. Mostly due to the vastly undeveloped landscape of the country, and the fact that the entire population is under 400k, there really isn't a need. This leaves you with 2 options: 1) Rent a car or 2) Book tours which include pick up and drop offs. You simply cannot travel to Iceland and not explore the beautiful countryside. I mean, check out this view! NOT SURE WHICH TOUR TO BOOK? CHECK OUT OUR ARTICLE ON WHICH TOURS WE RECOMMEND! Like everything else in Iceland, souvenirs are also very expensive. Yeah, you want to bring your mom, or your friend a bottle or Icelandic Liquor, or a taste of sea salted chocolate, or perhaps even a wool sweater. Be prepared to pay a pretty penny for all of the above. Almost all souvenir stores around the center city are very high in price. We made the "mistake" of purchasing some very costly small items on our first couple of days, but soon realized that there are other ways to find the same items way cheaper. How? If you are looking for good quality wool sweaters, all the fancy stores around the city will charge you a couple hundred dollars for something nice. Go to the Reykjavik flea market on Saturdays or Sundays and you will be able to browse a vast variety of hand-made authentic Icelandic wool items at a much cheaper price. Even though this is a "flea market" the wool merchandise, and costume jewelry is hand-made and new. Yes, it's still a little pricey, but cheaper than a downtown store. We also found that souvenir shops NOT in center Reykjavik have way cheaper prices. We shopped for small items and collectibles at the stores located outside the city when we went on tours. IF you happen to spend over $6,000 Icelandic Krona (roughly $60 USD) in one transaction (excluding food) keep your receipt, you might be eligible to receive up to 14% of your purchase back! Simply, take the receipt and fill out a form at the tax office located inside the airport, and they will reimburse your sales tax directly to your credit card AND, while at the airport, hit up the Duty Free store! Seriously, you will save a whole lot of money by buying booze and candy to take back home there, instead of a liquor store. There are not a whole lot of ways to save tons of money when visiting Iceland. You have to do what you can to minimize the impact on your pockets. Everything is expensive, but it's cheaper if you plan ahead. Planning is key. Plan where you want to eat, buy your cold gear before arriving, purchase your alcohol at the duty free before leaving the airport, and definitely use the viator app for tours, and the appy hour app to search for half off dining and drink options. Follow this and you will save some moolah. Buy your souvenirs outside city center, and walk everywhere. Taxis are costly. Do you have any other tricks or tips? We would love to know! Please comment below or shoot us an email! Safe Travels my friends! Have fun in Iceland.